Lisa Ede is professor of English at Oregon State University, where she has taught since 1980. 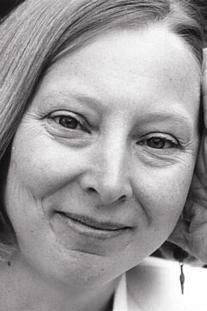 She has published a number of books and articles collaboratively with Andrea A. Lunsford, including Singular Texts/Plural Authors: Perspectives on Collaborative Writing and Audience Addressed/Audience Invoked: The Role of Audience in Composition Theory and Pedagogy, which won the CCCC’s Braddock Award in 1985. Ede is also a recipient of the prestigious Shaughnessy Award. Among her other publications are Situating Composition: Composition Studies and the Politics of Location, and Essays on Classical Rhetoric and Modern Discourse (with Andrea A. Lunsford and Robert J. Connors). In addition, for Bedford/St. Martin’s, Ede is the editor of On Writing Research: The Braddock Essays, 1975-1998, and editor, with Andrea Lunsford, of Selected Essays of Robert J. Connors.